Yup, diners who eat in the restaurant that day can choose a slice of any of 30 different cheesecakes for half the price. 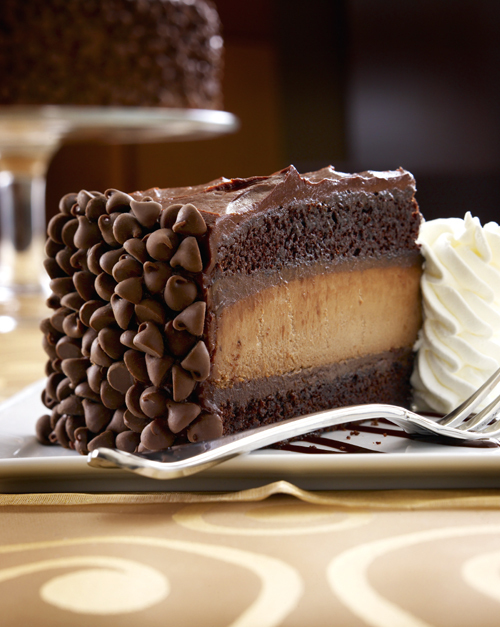 The newest flavor is the Hershey Chocolate Bar Cheesecake. Layers of chocolate cheesecake, chocolate cake, and ganache get stacked high, then finished with rich chocolate frosting and plenty of chocolate chips. It’s enough to make your teeth ache — but in the best of ways. 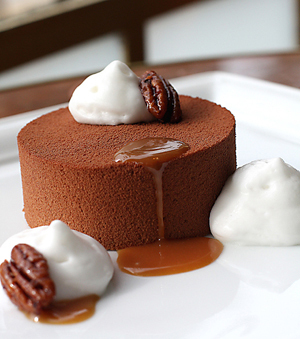 Bill Corbett, the executive pastry chef of the Absinthe Group in San Francisco, is also trained as a savory chef. On Aug. 1, you can experience that other side of his culinary prowess when he hosts a five-course “Savory” menu in the private dining room at the restaurant. The menu will highlight some of his favorite seasonal ingredients in dishes such as: artichoke confit with black garlic and Amanteigado thistle-rennet cheese; and roasted corn sorbet with caramelized olive oil cake and piquillo pepper. Price is $58 per person; wine pairings are available for another $25 per person. Reservations are required by calling Vanessa Harris at (415) 551-1453. Aren’t you tired of all the hip, happen’ things going on only in San Francisco? Well, Peninsula folks, you no longer have to make the trek that far north to enjoy Off the Grid. That popular mash-up of food trucks gathering in one spot for your culinary enjoyment has spun off a San Mateo version. Off the Grid: San Francisco, in partnership with the City of San Mateo and the Downtown San Mateo Association, has launched Off the Grid: San Mateo. Each Monday, 5 p.m. to 9 p.m., look for eight different food vendors from all over the Bay Area to congregate in downtown San Mateo, in the parking area between First Avenue and Baldwin Avenue at the west side of the Downtown San Mateo Caltrain station. Vendors will include Hapa SF, Chairman Bao, Curry Up Now and many others. Head to Gilroy, July 29-31, for a stinky time. 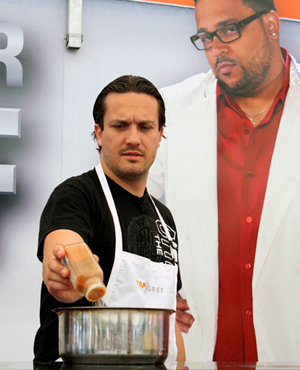 Of course, it’s the 33rd annual Gilroy Garlic Festival, which will feature “Top Chef” contestant, Angelo Sosa, doing a cooking demo on July 30, hosting the amateur cook-off on July 30, and hosting an “Iron Chef”-style cooking battle with four chefs on July 31. The cook-off, which starts at 10 a.m. July 30, will have eight finalists battling to create the top dish highlighting garlic. 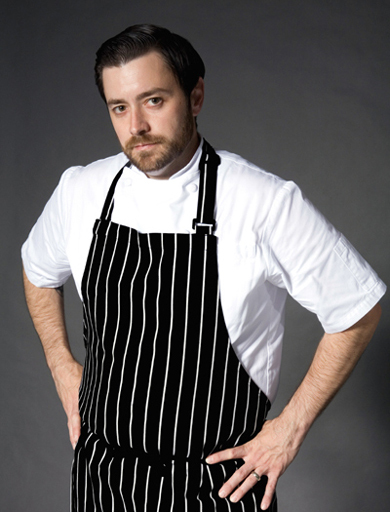 Fellow “Top Chef” competitor, Ryan Scott of San Francisco, also will be conducting a cooking demo on July 31. And of course, Gourmet Alley will be in full swing with vendors offering all manner of garlicy foods, including scampi, calamari, stuffed mushrooms and ice cream. Tickets are $17 for adults; $8 for seniors age 60 on up; $8 for children ages 6-12; and free for kids under age 6. Raley’s, Bel-Air and Nob Hill Foods also are offering $2 discount coupons. In Monday’s contest, I asked you to tell me about one thing you feel is worth splurging on — be it food-related or not. 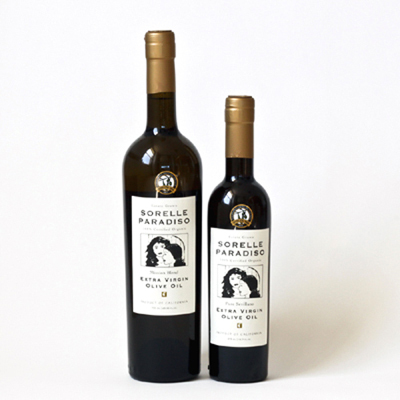 The winner will receive two bottles of organic Sorelle Paradiso extra virgin olive oil, courtesy of Daily Gourmet. That includes a 750ml bottle of Mission Blend and a 375ml bottle of Pure Sevillano. Michael Barth, who wrote, “Hey! I found your contest on the expensive olive oil and not only did I think that was extremely generous of you to do (give away a free bottle of $75 olive oil) but neat how you were going to go about doing it! So I thought I’d write a quick blurb about what I feel is appropriate to splurge money on. Okay I know this might sound extremely broad and vague yet it’s basically the philosophy behind it that I feel is key. I think it’s most appropriate to splurge on yourself! But what I mentioned before, it’s the philosophy behind it that I see important. It’s generosity; but wouldn’t it make more sense to splurge on others to be generous? Well yeah, if money happened to be unlimited for you, but it’s not, as we all have come to find out at one point or another.